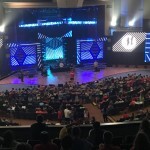 Friday evening, hundreds of students streamed to the front of the Indiana Wesleyan chapel auditorium to commit their lives to full-time ministry. After a video greeting and Bible emphasis from renowned Bible scholar and speaker Francis Chan, the crowd had the opportunity to hear from speakers Jason Holt and Kevin Mincey, who both committed to full-time ministry as young adults and followed God’s leading into unfamiliar places. Mincey, an inner-city pastor from Washington D.C., was called to lead the Grace Brethren Church in Winchester, Va., where he became the first black pastor to lead the southern church. When he came into the pastorate, his role was first to reunite the Winchester church with Apple Valley Grace Brethren Church, who had split from Winchester. Under his care, the churches have since reunited and are thriving under his leadership. Jason Holt of Urban Hope, Philadelphia, Pa. told his story of a childhood riddled with anxiety and fear, transformed when God got a hold of him during an Operation Barnabas mission during his teen years. When he went into the ministry, God called him to the place he thought he’d never go: inner city missions. Jeff Bogue took the stage then to plead with students who had felt a stirring in their hearts that God was leading them to full-time ministry. 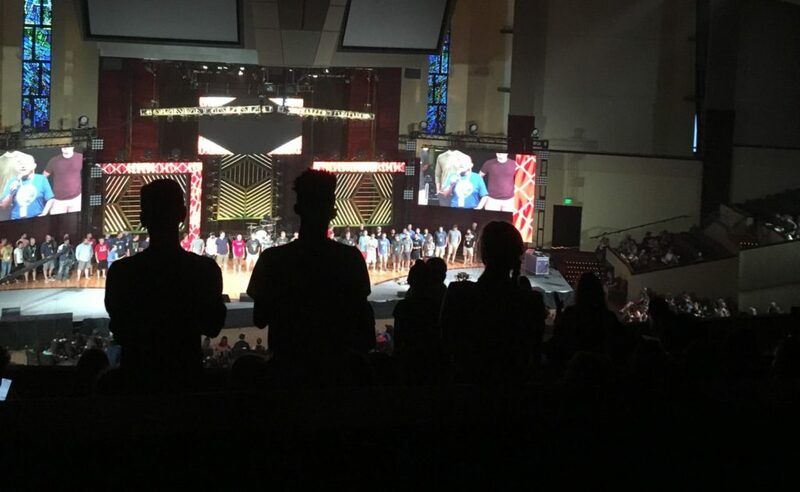 From all over the auditorium, students quietly streamed from their seats and signed their names in a book provided on tables scattered throughout the room, then joined others at the front, arms around one another, to worship and pray. Youth workers were then called up to pray over their students. “It’s a holy and sacred moment,” said Bogue. 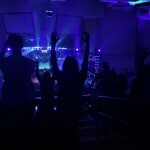 Momentum Youth Conference is the annual summer event for students, sponsored by CE National. 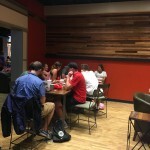 This year, it is held at Indiana Wesleyan University in Marion, Ind. 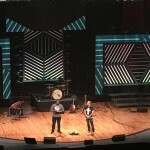 and includes five days of challenging speakers, ministry opportunities, and fun. 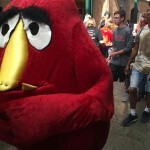 Sightings of this creature were common during the day. 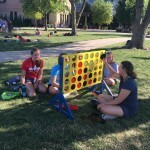 During the afternoon, students enjoy a game of giant Connect Four. Relaxing and playing board games during Friday afternoon free time. 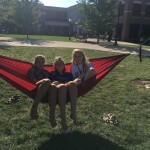 Relaxing in hammocks during free time on Friday afternoon. 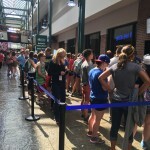 The dinner line was long before the Friday evening session. 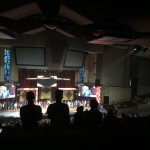 Youth leaders gathered on the stage to be acknowledged and thanked by the youth. Pastor Kevin Mincey of Winchester Grace Brethren Church and Jason Holt of Urban Hope share their stories with students on Friday night. 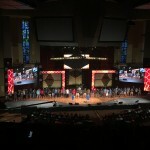 Over a hundred students gathered at the front to hug and pray after committing their lives to full-time ministry.